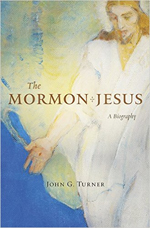 It turns out that one can find potential readers for Brigham Young nearly anywhere in the state of Utah, and one can sell books accidentally as well as by design. 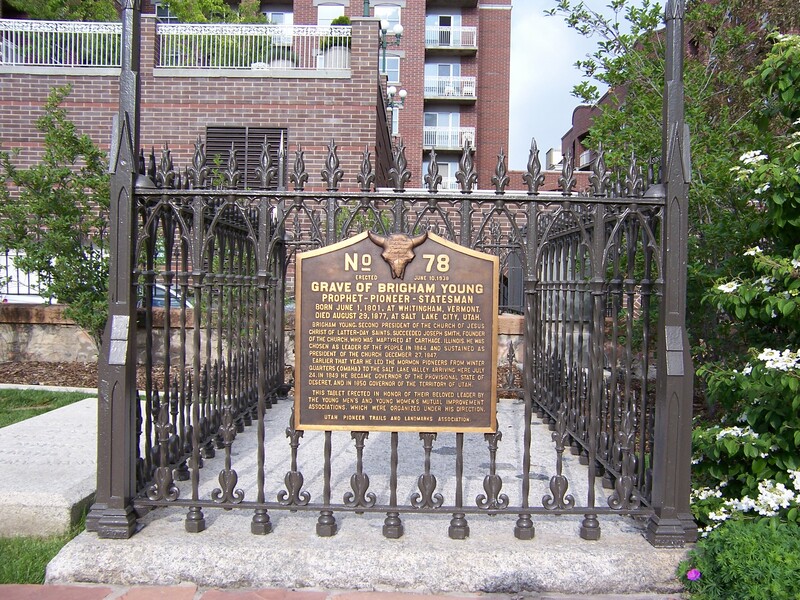 This past Tuesday, I stopped at the Brigham Young family cemetery (“Pioneer Cemetery”) just east of Temple Square. During previous visits, it was hard to get out of the archives, but I’d always wanted to see the Lion of the Lord’s grave. It’s a lovely little cemetery / park, and not crowded. The only other visitors were a group of four sisters on a family reunion of sorts. They asked me to take their photograph, which I was happy to do. Perhaps finding my presence unusual, they wondered what had brought me to the cemetery that morning. I told them I had just written a biography of Brigham Young. The subject was of interest to them (I believe they were descendants of the American Moses). We also chatted a bit about the number of Brigham’s wives (six or seven of which, if my memory serves me, are buried in the plot). They asked where the book is available, and I recommended nearby Deseret Book. On Thursday night, I spoke at Benchmark Books in Salt Lake City. As I did at several events this week, I contrasted Brigham Young’s early spirituality and spiritual leadership with the harsher and more violent rhetoric and actions that characterized his early years in Utah. In particular, I told the hitherto mostly unknown story of Ira E. West, a petty thief Young repeatedly threatened with decapitation in March 1849. West, as far as I knew, disappeared entirely from history afterwards. Using John D. Lee’s diary as its source, the Salt Lake Tribune in the early 1880s concluded that West had been murdered at Brigham Young’s order. Lee’s diary, however, while it has much information on the case, does not reveal West’s fate. So I left it as an open question. Perhaps he was killed, or perhaps he escaped to California. Enter Colby Townsend, an employee at Deseret Book. I met Colby on Thursday night. He told me that four sisters had come into his store after meeting the author of a new biography of Brigham Young at the cemetery. At first, one was going to purchase the book, but eventually, all four did. Thank you!! On my next visit to SLC, I’m simply going to bring a stack of books and sit in the cemetery. Later that night, Colby sent me an email. He had cracked the Ira West case. Last summer, I had spent a lot of time trying to figure out where West might have gone. As it turns out, the LDS Church’s pioneer database contained the answer. The name “Ira West” is included on Provo’s Indian War Memorial; he fought in one of the many Indian conflicts between 1850 and 1868. Utah’s bloodiest Mormon-Indian war took place in 1850, and I imagine that’s the war in which West participated. At some point, probably before Utah’s 1851 census, West left Utah. I discovered recently that West’s wife remarried in 1851. Ira E. West, said to have been the oldest pioneer of the southwest, and to have lived here more than forty years or more died at Harqua Hala on January 10th, aged 68 years. He was well known as a mining and stock man. The Ira E. West who came to Utah in 1848 has a birthdate of Nov. 1824, which lines up perfectly with the obituary. Here’s a second obituary, with more information. Thank you, Colby, for selling four copies of my book and for sleuthing out the answer to one of its mysteries.